CAMP RIPLEY, MINNESOTA--More than 50 leaders and staff of the Iowa Army National Guard's 2nd Brigade Combat Team (B.C.T. ), 34th "Red Bull" Infantry Division attended an exclusive sneak-peak of the documentary "Restrepo" Sunday, June 27. The Sundance Award-winning film, which depicts how one company of U.S. soldiers conducted counterinsurgency operations in the hotly contested Korengal Valley, Afghanistan, opens in theaters nationwide from now until early July. 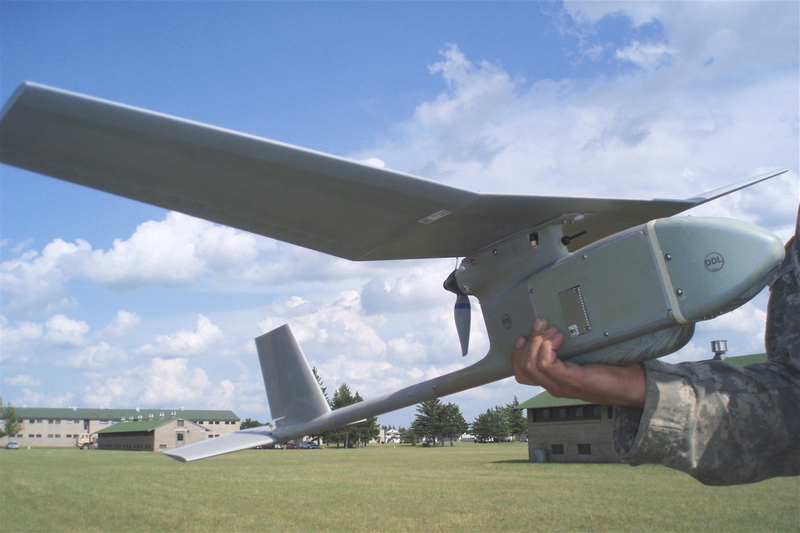 While previously shown in special screenings on active-duty military bases, the Red Bull "Restrepo" event uniquely offered an opportunity to Army National Guard soldiers in a pre-deployment training environment. The audience comprised much of the brigade's Headquarters and Headquarters Company (H.H.C.) --the non-commissioned, warrant, and commissioned officers who will lead and support the unit during its deployment to Afghanistan later this summer. By repeatedly embedding with the same platoon of soldiers in 2007 and 2008, film co-producers Sebastian Junger (author of the books "War" and "The Perfect Storm") and Tim Hetherington (author of "Long Story, Bit by Bit") sought to document the emotional experience of U.S. soldiers in combat. "We have to remember that we, as staff--the decisions that we make and help make, are going to put other people in these situations." "Never once did it seem like the captain [in the film] asked the elders what they wanted. It seemed like U.S. troops came in and made promises, but never asked the village what they wanted. Some higher somewhere apparently made the decision they they needed roads, and never asked." "We tell [Afghans] that we're going to make them rich, and then we can't pay for a damn cow?" "It's important to realize the separation of what these soldiers went through and what we may be going to. As a lieutenant or platoon sergeant, I might live [in the way depicted in the film]. But if you're on Bagram [Airfield], when you're living in a B-hut or CHU or whatever, remember that there are guys out there living in the dirt, burning their own crap, looking for a hot meal every once in a while." One soldier wished that more soldiers could have taken part in the special screening, including lower-ranking ones. "The time is now. A lot of soldiers aren't taking it seriously yet. This would open a lot of eyes." At the same time, other soldiers expressed concerns that family and friends might worry that the film represents conditions in Afghanistan nationwide, rather than a particularly gritty pocket. "Every one of us will see a different piece of the puzzle, a different patch of ground, have a different story to tell. In other words, our mileage may vary." For a few moments, however, thanks to the producers of "Restrepo," Red Bull troops were able to walk in other soldiers' boots--before they travel to Afghanistan themselves. I found myself camping out in the "ALOC" ("Administrative-Logistics Operations Center") the other day, just to hear myself think. Even with the back-and-forth bustle and bicker of the S1 (Personnel), S4 (Logistics), and other "support" sections, it was good to get away from the constrant drone of the generators that light and air-condition the "TOC"--the "Tactical Operations Center." Normally, the S1 and S4 and others would be working out of the TOC tents. Given the requirement for some regular, non-classified computer connections, however, they took over a refurbished-but-still-rustic dining facility. Cinder block walls, with single-pane windows, and no weather strip around the peeling-paint doors. Inside, the ceiling is open to the rafters. It's not difficult to imagine being off "at camp," which, I guess, is what some of us old timers still call Annual Training anyway. 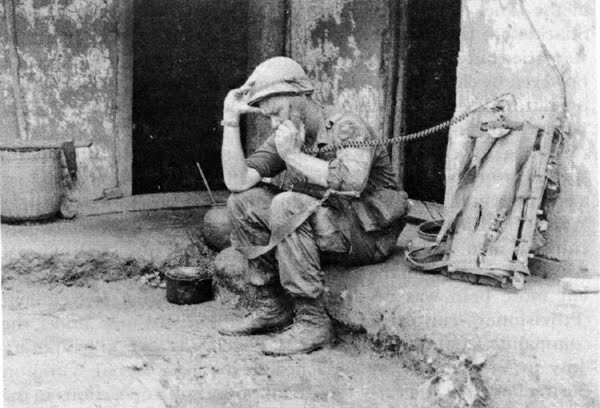 As an Army communications guy, I've always found the constant white noise of a generator strangely lulling. When my wife wants to knock me out for a nap, she knows that all she has to do is start the dishwasher. Dishwashers and Army generators make me sleepy. I wanted to clear my head and organize some thoughts, so I stopped by my ALOC cloister with a stack of note cards and a cup of coffee. Inside, I had a picnic table all to myself for a few blissful minutes. My whole world was: coffee, quiet, table. The S6 (Communications) tent connects to the TOC circus tent. If the Army were a business, that tent would be a combination information technology "help desk," a server room, and a retail tech-shop counter. There are lots of laptops laying around, and it's crowded with data cables. The big green-box servers are high-pitched and loud--louder than the generators outside the tent. You can hear the computers think, but not yourself. "This is the loudest quiet place in the Army," one of the commo guys told me, as we tried to have a trouble-shooting conversation in the S6 tent. "No one talks all that much in here." I'm 0 for 2, with as many on-the-spot corrections made on yours truly in as many days. Yesterday, I made the mistake of assuming that officers would not want to be saluted outside our the Entry Control Point (E.C.P.) of our big circus tent of a Tactical Operations Center ("TOC"). Once, in my experience, officers avoided being saluted "in the field," fearing observation by enemy soldiers with long-distance rifle scopes. Soldiers would darkly joke about "sniper checks" when forced to salute under field conditions. Our TOC tent complex is surrounded by three strands of Concertina--looping strands of flesh-and-uniform-stripping razor wire. To enter the complex, one has to clear one's weapon, present security badge, and proceed along a hard-plastic walkway into the TOC. Again, I figured that the ECP is a choke-point for larger groups of people. A suicide bomber need only wait until observing a flurry of salutes outside the ECP, before going for it. They wouldn't even have to get into the wire. It seems I was wrong. Already seated in the chow hall, the operations sergeant major waited until I was juggling my Styrofoam tray and my fruit punch and my rifle, before calling me over to ask about why I wasn't saluting around the TOC. I was busted, I guess, but I thought I was just following procedure. He was right, of course, but it pretty much ruined my evening. I had been hurrying to get back to the TOC to work extra hours. After the sandpaper-napkin treatment, I opted to take my time getting back. Tonight, I was rushing to dinner chow again, when I passed the new brigade commander and command sergeant major. As I may have mentioned, I've deployed with them before, and I appreciate their calm-and-quiet command styles. (OK, the sergeant major can get a little loud when he wants, but that's a sergeant-major thing.) I popped off the new greeting, "Red Bull, Sir!" Instead of answering with "Attack," however, the commander pulled me off to the side of the road I was walking. "Let's see here," he says, only half-smiling. "Look at my sergeant major. Look how he is holding his weapon to the front. Look how he has positive muzzle control, with both hands on the weapon. You're holding your weapon slung off to side. It looks like floppy socks. No more floppy socks!" You know the quote about how diplomacy is the art of telling someone to go jump in a lake and have them like it? I think the commander's got a bit of that blarney-kiss, too. I'm not crazy about keeping my weapon at the "modified low-ready" at all times, but I sure as heck didn't mind being corrected. Given the high ranks involved, I would've predicted otherwise. I guess it's all in the delivery. After I'd had my meal, and returned to the TOC, I asked the operations sergeant major about the apparently new policy. He told me it was all about positive trigger, muzzle, and safety control. How are the troops supposed to know about this, I asked? "It was in that FRAGO [a written "fragmentary order"] you helped push out this morning," he replied. "You should really read them sometime, when you're delivering them." Today is Father's Day. You are 5-and-a-half years old. Rain is 3 years old. You are my best friends in the world. I love you both very much. I am writing from an Army camp. I work in a big tent with other soldiers and airmen. Some are men and some are women. You and Rain would like it here. There are always lots of airplanes and helicopters and trucks. Some airplanes flew over my head last night. It made me think of my dad. I hope you are thinking of me sometimes, too. This week, I saw Elam's dad at an Army store. I told him you said I had to give him a hug. He said that was very sweet. I hope you and Elam are friends for a long time. I will be home soon, but I have some sad news. In a month or two, the Army will send me to another country. The country is called Afghanistan. I am going because my soldier friends need my help. I will talk on a radio, and work on a computer. I will help keep my friends safe. 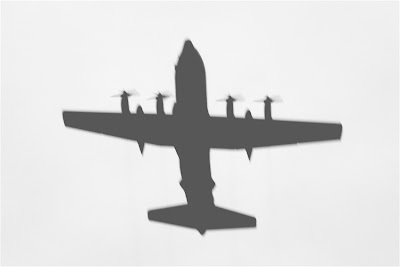 When I was your age, my dad flew on airplanes. He was in the Air Force. He was gone a lot, but my mom and little brother and I always liked to welcome him home. When he left on a long trip, he always told us that he would see us in his dreams. If I am lucky, maybe someday soon I will get to fly in a plane like Papa's! (It was called a "Hercules." Ask him about it.) If I do, I will send you a picture. I will be gone for a long time. I will miss your next birthday, and probably Rain's, too. I will not be home for Thanksgiving, or Christmas, or Easter. This makes me sad. Still, we will talk on the phone while I am away. We will write letters and send pictures. We may even talk on the computer. Lena, I need your help: You are a big sister. Teach your brother good words. Learn a lot in school. Read lots of books. Say your prayers every night. Make your brother laugh and give him hugs. Give your mom lots of kisses. Listen to what she says. She is very smart. It is not easy for me to leave home. In fact, it is the hardest thing I have ever, ever, ever done. Until I get back, I need you to be brave like Mulan or Hercules or Musketeer Barbie. It is okay to feel sad sometimes, but I think you should try to be happy most every day. You are pretty and smart and funny. You are a good dancer and soccer player, and I like reading books with you. I am very proud of you and your brother. I will miss you both very much. You may love me halfway around the world, Little Nutbrown Hare, and that is very far. But I love you to halfway around the world ... and back! And that is very, very far indeed. Good night, Princess. See you in my dreams. Later today, the 2-34 Brigade Combat Team (B.C.T.) colors will officially pass to Col. Ben Corell and Command Sgt. Maj. Joel Arnold in a small ceremony. The unit's headquarters and subordinate battalions continue to conduct Annual Training at Camp Ripley, Minn. Earlier this week, the colors have been posted outside the brigade Tactical Operations Center ("TOC"). It was a windy day, and I managed to capture a decent picture. 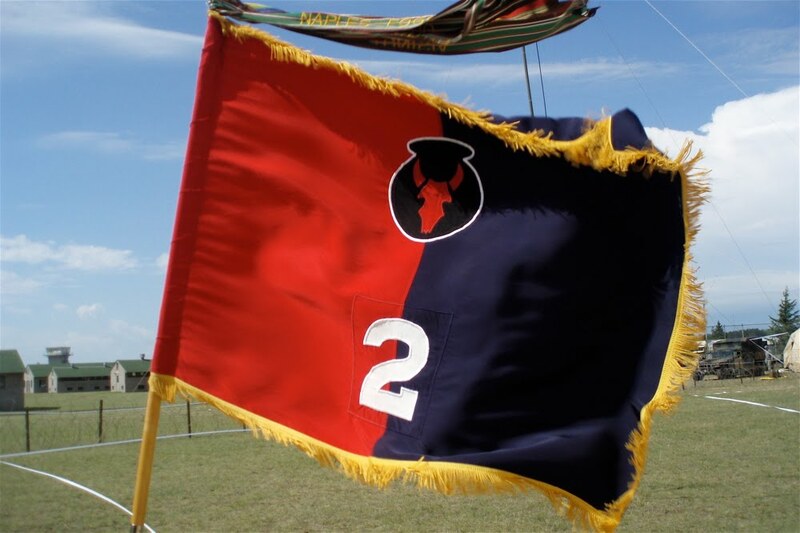 The flag has two vertical stripes of equal width with the shoulder sleeve insignia of the applicable division in proper colors, 10 inches high, above the number of the brigade in Arabic numerals 8 inches high, both centered on the flag. Named brigades of the division will use a monogram “AVN” or “ENG” in lieu of a number. The fringe is yellow. The first stripe of all brigades is red. 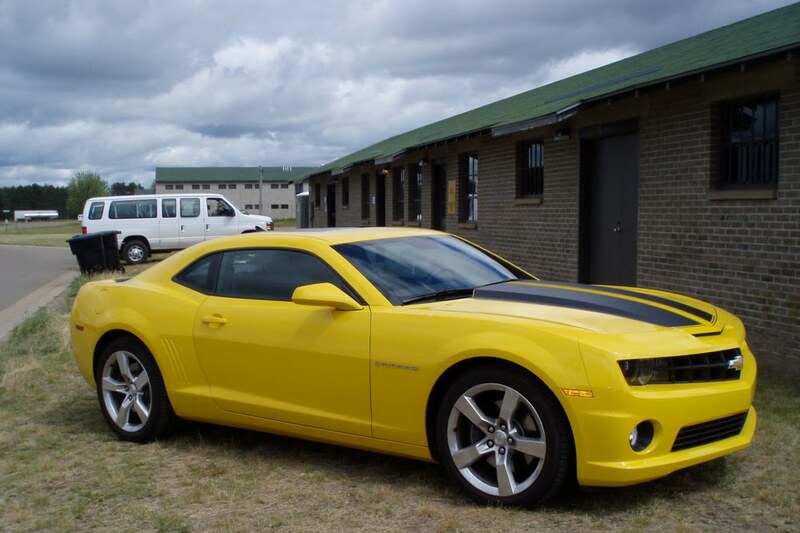 The second stripe of armored and cavalry division brigades is yellow. The second stripe of airborne, infantry, and training or exercise division brigades is national flag blue. Numerals or letters on armored and cavalry division brigades are green. Numerals or letters on airborne, infantry and training or exercise division brigades are white. The streamers, by the way, commemorate the unit's battles in: The Indian Wars, the Civil War, the War with Spain, the Philippine Insurrection, and World Wars I and II. Godspeed Col. Corell and Command Sgt. 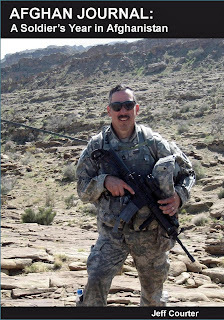 Maj. Joel Arnold, and Godspeed the 2-34 BCT. It was the perfect day for little target practice: Overcast skies, somewhat cool, gnats but no mosquitoes. My unit hit the firing ranges early to conduct our annual individual weapons qualification (I.W.Q.). We're now firing brand-spanking new M-4 carbines, shorter cousins of the long-familiar M-16. They're so new--less than 500 rounds fired in each--that you're not supposed to bore-brush them when cleaning. We joke that they should come with round-counters or rifle-odometers, so that we can keep track of our mileage. When I was a younger soldier, we had rifle slings that were good only for carrying our weapons on our shoulders. (We weren't allowed to use them much, if ever.) Now, we have "combat slings," which carry our weapons to the side and the front. They're quite the contraptions, but they work. We carry our weapons everywhere, even on the Forward Operating Bases ("FOBs"), back in the rear. A good sling frees up a couple of hands. There's some other new gadgetry, too. Some of our buddies in the brigade, for example, are sporting bipod front hand grips, which split into a small two-legged stands to support the rifle. And there's the Close Combat Optic (C.C.O. ), which places a red LED dot at the end of one's front sight. No, it's not a laser--that would be too Hollywood. It's just a dot that you can see inside your scope. It's easier to see in most lighting conditions. Before you qualify with your weapon each year, you have to "zero" it. 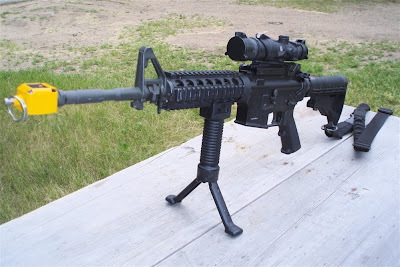 This means firing three rounds at a time, adjusting your front and rear sights little by little, until you can hit a half-dollar-sized mark 5 out of 6 times. I zeroed very quickly this range-fire morning, after firing only nine rounds. Then, I went to the computerized range, which pops up Jawa-sized molded-plastic soldiers at various distances from 50 to 500 meters. Here's a change from when I was younger: Soldiers once qualified firing 40 rounds; 20 from a "foxhole" fighting position (standing in a deep hole), 10 from a "supported" ("with sandbag") prone" position, and 10 from an unsupported ("no sandbag") prone position. Now, however, we fire 20 rounds from the supported prone position, then 10 from an unsupported prone, and finally 10 from a kneeling position. I fired a 31 out of 40, which was good enough. I think 24 was the minimum you needed to qualify. It was one of those range-days that just felt good. It reminded me of learning to shoot as a grade-schooler, and how the mindful mindlessness of doing a simple, repetitive task can make time seem both to fly, and to stand still. Exhale and aim. Squeeze and fire. Breathe and repeat. Sometimes, everything just falls into place, and everything is right on target. Today was one of those days. One of the ways new commanders make their marks is to change the unit motto or greeting. For years, members of the 2nd Brigade Combat Team (B.C.T. ), 34th Infantry Division have greeted each other with the lower-ranking soldier saluting and sounding off with "On the objective!" The reply was "Attack!" --an echo of the divisional motto, which is "Attack! Attack! Attack!" Our new commander and command sergeant major have issued orders that the new sound-off will be "Red Bulls!" The reply will remain "Attack!" I finally encountered Command Sgt. Maj. Joel Arnold while walking my 6-block commute to the Tactical Operations Center yesterday morning. I asked for clarification: Was the new salute "Red Bull" singular or "Red Bulls" plural? He was in his full battle-rattle, and carrying his M-4 rifle at the ready, but the sergeant major shot me a look both flinty and amused. "I'm saying 'Red Bulls,' with an 'S,'" he said, "because we're a team! 'Red Bull'? 'Red Bull' is an energy drink!" Hoo-rah! Sounds good to me, sergeant major! 'Red Bulls' it is! In a recent Moth Radio Hour, author Matthew McGough tells the story of having moxie enough to pursue a job as a bat boy for the New York Yankees. The high-schooler calls the club, gets told that someone will call him. After they don't call, he calls again. That gets him an interview. At the interview, he's told to come back in the spring. On his first day in the locker room, his hero Don Mattingly tells him that his bats are full of moisture from a recent trip, and that he needs a bat-stretcher. He goes from Yankee to Yankee, and they all string him along. "No, I don't have it anymore, but I think so-and-so has it now. Besides, Mattingly is a left-handed player, so you'll need to get him a left-handed one." This goes on and on, even over to the visiting team's locker room. There, he's told not only do they not have one, but that they need one, too! Somebody even gives the kid a couple of bucks to go to a local sports store and buy two bat-stretchers. The kid realizes that it's probably a joke, but doesn't want to give up. He persists long after others would have given up. He learns later that it's that same persistence that got him the job. Until then, every other bat boy had gotten the job because of someone he knew in the Yankee organization. I was reminded of that story earlier this week, as we were wiring up an old dining facility for use as a brigade human resources and logistics office. I made some reference to a "bit bucket," and the commo warrant officer instantly recognized the old joke. 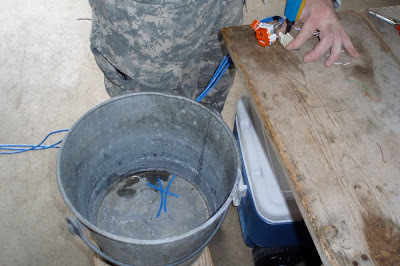 Back in my old Army signal days, we'd tell new lieutenants that the network was leaking data, and that we needed a "bit bucket" to help stop the digital signal loss. They'd run off like ... a Yankee bat boy. A "box of grid squares." A "can of blinker fluid." We've all done it, and we've all fallen for some variation of the gag. This week, another warrant officer told me with a straight face that he needed to call back to the rear right away. When I asked him what was so urgent, he said: "I forgot a whole case of Give-a-[expletive]." I fell for that one, too. I'm really not a survivalist type, but, given the "what-if" natures of both my civilian and military jobs, I can get real paranoid real fast when it comes to safety, security, and emergency preparedness. Still, I'm probably more of a "prepper" than a "survivalist." I tend to make plans rather than all-out preparations. And, given my experience as an Army radio-telephone operator (R.T.O. ), I usually focus on communications as a place to start. Most of the time, I try to dial it back a little, so as not to scare others. For example, when I asked my kids' daycare provider about what their communications plan for winter school closings, I forced myself NOT to follow-up with a question about what the plan would be if the high-school next door was locked down for a bomb threat or a shooting incident. My kid brother lives in the San Francisco Bay area--earthquake country. His kids' daycare maintains an on-site semi-trailer full of parentally provided emergency backpacks, each of which contain supplies enough to take care of a kid for a couple of days. I think this is brilliant--the administrators are obviously thinking about the unthinkable. Even if (when?) the "big one" hits, crashing phone systems and curdling pavement, parents will know that their kids will be OK. There's no "failure of imagination" at that daycare! Primary. What's the most-preferred means of communications? Alternate. As a back-up to the primary, what's the second-most-prefered means of communications? Contingency. What is the means of communications if something big and bad happens--think earthquakes and floods and hurricanes--an event that eliminates the possibility of using the Primary or Alternate? In other words, where and how would the soldier contact his/her family, if the family suddenly was without all services, or had to evacuate cross-country? One tip: Designate an out-of-state contact person that everyone (including the overseas soldier) can call to check-in; long-distance phone lines can sometimes function when local service has been cut. Emergency. How will the soldier be notified if there's a death or illness in the family? Believe it or not, this may be the easiest part of the plan on which to agree. That's because the American Red Cross is the emergency channel of choice for communicating such information to soldiers. Red Cross notification and verification is required for getting a soldier emergency leave, when feasible. 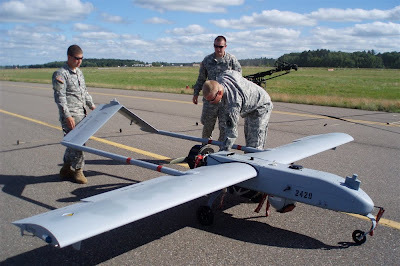 Click here for an overview of the message process; note that the procedure is the same, whether a National Guard soldier is deployed overseas or merely at stateside Annual Training. In your family's plans, remember that there will be times that communications will simply not work downrange, possibly for days at a time. Time and technology work more slowly overseas. Internet and phone services in-country might be slow, unreliable, and unsecure. They may also be temporarily cut in order for official communications to take priority. Postal mail delivery may also be slow, depending on a soldier's location. Because of these reasons, many military families adopt a "no news is good news" approach. Any message of significance--an injury, for example--would come either directly from the soldier, or through official channels. Otherwise, make a plan and figure out what mutually works best. On my first deployment, my wife and I decided to avoid using e-mail much, if for no other reason than we mutually consider "romantic e-mail" to be a contradiction in terms. Our phone calls were weekly, at best--the time-difference made it hard to find the right time to call, and the long pauses and delays caused by the satellite system forced us to sometimes use radio procedure words such as "OVER" and "OUT." I also had to train myself out of "chief household problem-solver" mode; when Household-6 told me about a problem--a leaky faucet, for example--I had to realize that she'd probably already taken care of it. It wasn't my job to fix her problems while I was away. Instead, my role while deployed was listen to her problems, and offer support and ideas as I could. I might seem paranoid sometimes, but apparently I can be a sensitive guy, too. At least, that's what some people say. Sounds like a worst-case scenario to me. My fellow Red Bull TOC-rats and I pulled a working lunch earlier this week. As we started pulling apart our tactical computer systems in preparation for loading them on a truck, we previewed a soon-to-be-released (and award-winning) documentary called "Restrepo," which unblinkingly depicts the hardships endured by U.S. troops fighting in Eastern Afghanistan's Kunar Province. From June 2007 to July 2008, documentary co-producers Tim Hetherington and Sebastian Junger repeatedly embedded in the Korengal with the second platoon of Battle Company, 503rd Infantry Battalion (2/B/503 Infantry) in the Korengal Valley. In 2007, nearly one-fifth of the combat in Afghanistan occurred in this valley, which is only 6 miles long. The unit is part of the U.S. 173rd Airborne Brigade Combat Team (A.B.C.T. ), headquartered in Vincenza, Italy. Our unit's public affairs officer wanted a couple of Joes' reactions to the film, to see whether they thought it a potentially useful pre-deployment learning tool for our Red Bull soldiers. We've got a good mix of experiences and specialties in the TOC, he knew, and certainly no shortage of opinions. About 90 minutes later, even the combat veterans among us called the film "eye-opening." Said one staff sergeant: "I wish I'd had something like that to show my soldiers before we left for Iraq." An Afghan-theater veteran observed how well the documentary depicted the mountainous terrain as an ever-present enemy. Another commented: "It's a good reminder that this uniform gets dirty ... and sometimes bloody." How would I react to the death of a friend? How will I react to enemy contact? How would my body hold up to the demands of altitude and terrain? How would I seek to win friends while also holding a rifle? The Korengal Valley was thought to be a conduit through which Taliban and foreign fighters were infiltrating from Pakistan into Afghanistan. The area has variously been described as the "valley of death," the "most dangerous place in the world," and "the tip of the spear." More than 40 U.S. military personnel have been killed in the area since 2006. U.S. Army Pfc. Juan “Doc” Restrepo was one such soldier. By placing Battle Company in the Korengal in 2007, U.S. military leaders had sought to stop the flow of fighters, while winning over the hearts and minds of the indigenous Korengali people--an ethnically distinct population. 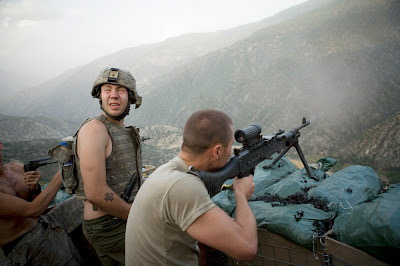 In April 2010, however, U.S. forces withdrew from the Korengal after determining that their presence was doing more to create anti-U.S. sympathies and Taliban influence than to diminish them. Hetherington is a photographer and filmmaker who has covered wars in Liberia and Afghanistan. Junger, author of "The Perfect Storm," has also recently published "War," a book-length account of the troops who fought in the Korengal. After a theatrical release in June and July, plans call for "Restrepo" to air on the National Geographic Channel later in 2010. It's been a few years since Sherpa had to concern himself with spit-and-polish problems such as calling the cadence, drill and ceremony, and marching up and down the square. Still, in shifting my battle-blogging rhythm in preparation for field duty, I was reminded of a little trick from Army Field Manual 22-5 (now renamed FM 3-21.5). The trick is the change-step. Something you might call a "skip." As I recall it, the change-step is one of the few U.S. Army marching commands that is called when the right foot hits the ground. The command of preparation is "Change-step ..." and the command of execution is "MARCH!" Upon the command of "Change step, MARCH," the unit executes a half-step. By executing this maneuver, a leader can bring his unit into step with others. It can also be executed as an individual, particularly one who finds him- or herself marching to a slightly different beat. This movement is executed automatically whenever a soldier finds himself out of step with all other members of the formation. It is only executed while marching forward with a 30-inch step. To change step, the command Change Step, MARCH is given as the right foot strikes the marching surface. On the command of execution MARCH, take one more step with the left foot, then in one count place the right toe near the heel of the left foot and step off again with the left foot. The arms swing naturally. This movement is executed automatically whenever a soldier finds himself out of step with all other members of the formation. (Paragraph 4-7, FM 3-21.5). Each year, it's usual for a U.S. Army National Guard unit to perform two or three weeks of full-time military service. This year, the units of the 2nd Brigade Combat Team, 34th Infantry Division (2-34 B.C.T.) will conduct Annual Training (A.T.) in preparation for deployment to Afghanistan later this summer. In the coming weeks, I may be a little out of touch at times--technologically, rather than mentally. 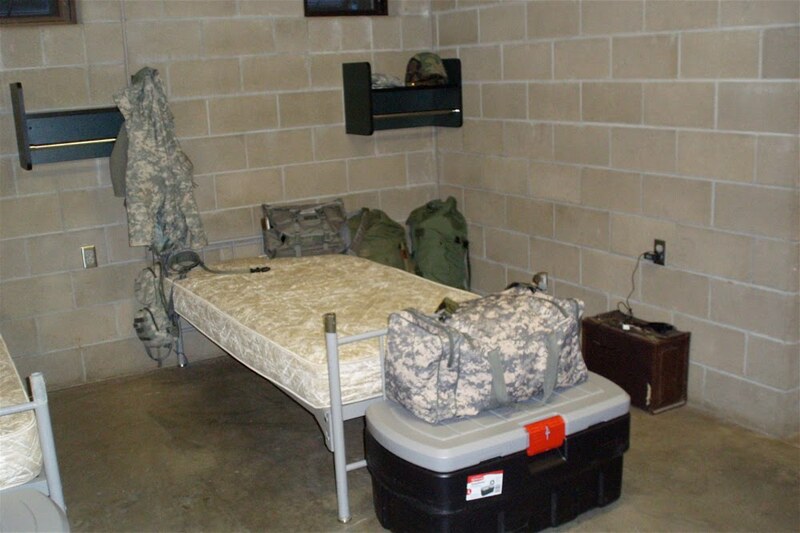 My fellow soldiers and I will be performing our assigned duties, most likely on a 24-hour schedule and under rough-but-comfortable field conditions. I have previously suggested that a brigade Tactical Operations Center ("TOC") is like an air-conditioned inflatable circus tent populated by ninjas, and I'm sticking to that description. There is always something interesting going on at the TOC. And, if there isn't, one can always make things more interesting, if you catch my drift. Just don't get caught, Sherpa says. Or held responsible. While I have ready access to the very latest Army technology in my military job, I'm not necessarily going to enjoy a lot of free time or blogging bandwidth. Still, I think I've figured out how to maintain my blogging schedule, although I'm likely going to downshift to two or three times a week. And I'm gearing up with some new tech, so readers who access Red Bull Rising via Facebook may also see some "test fires" and "radio checks" in the next couple of days. As always, I'll keep you posted.